Many in Egypt are concerned with major economic issues in the coming period, yet the problems start at the very bottom of things. Many media reports regarding the Muslim Brotherhood’s rise to power in Egypt have focused on the international implications of the likely introduction of Sharia law, in particular for Israel and the West. Internally, the significance of a Sharia-based state for women, secularists and religious minorities has also been much discussed. But perhaps the most overlooked aspect of Sharia’s implementation in Egypt is the economic one, and how the Muslim Brotherhood considers the Islamic law code the solution to their country’s substantial economic problems, especially regarding the blight of corruption. In some instances, the corruption problem is due simply to outright theft. “Wealthy intermediaries,” the report states, siphon off half of the subsidy money meant to keep down the price of commodities such as bread and cooking oil that help the poor to survive. But a major culprit in what is making a terrible economic situation in Egypt even worse, especially for its roughly 40 million poor who live close to, or below, the $2 per day poverty line, is the Nile state’s bloated government bureaucracy. 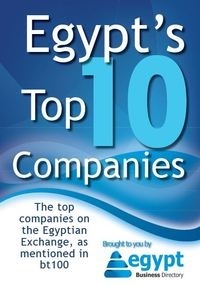 “The report highlighted 65,000 instances of corruption in a single year, with government agencies routinely exaggerating operating costs,” states the Daily News Egypt. “We must strike with an iron fist against these degenerate practices if we want to release the productive energy of the people,” Sayf al-Islam al-Banna, son of the founder of the Muslim Brotherhood, once said in the People’s Assembly. The “iron fist” the Brotherhood intends to use to eradicate corruption and other “degenerate practices” like “favouritism, nepotism, and patron-client relationships” is, Utvik writes, Sharia law. But the harsh punishments contained within Sharia’s provisions, such as the cutting off of hands for stealing, are not viewed as the means to eliminate this modern-day plague of Egypt, but rather the moral renewal that Sharia will bring to Egyptian society. The Muslim Brotherhood believes that when laws have the force of religious legitimacy behind them, people will obey them. Besides solving the “degenerate practices” badly harming the Egyptian economy, this “establishing virtue” by Sharia will in turn also bring a much-needed “moral harmony” and “moral cohesion” to society. Utvik cites the zakat as a parliament-mandated Islamic economic measure the Muslim Brotherhood wants to introduce. He cites an Islamic economist who maintains the zakat, a religious offering that goes to the poor, is “not a voluntary charitable donation, but a duty that must be enforced by an Islamic state.” The zakat is one of the five pillars of Islam, acts that are considered obligatory for all believers and is estimated to be about 2.5 percent of a person’s capital and income. The Brotherhood agrees with the Islamic economist’s viewpoint and has always advocated the zakat in place of income tax, which people avoid paying. Making the zakat a religious obligation, the Brotherhood believes, will ensure that believers will meet this financial requirement. The money from the zakat is also to be kept separate from other government sources of revenue, Utvik says, and invested in enterprises that will meet the needs of Egypt’s many poor and lift them up “above the mere survival level …to a minimum of enjoyment of life.” So rather than just poverty relief, the zakat is seen as a means of acquiring money for economic development. Christians, Utvik writes, would pay the jizya. The amount paid would be the same as the zakat if the person performs military service, but the jizya is higher for those who do not serve. The zakat is just one example of Islamic economics the Muslim Brotherhood wants to introduce into Egypt. Islamic banking is another device to make the country’s economy Sharia-compliant. Islamic banks do not pay interest, which is forbidden in Islam. But the obvious question is whether the application of Sharia law to the Egyptian economy will even work. When one views other Islamic countries, such as Iran, Sudan and Pakistan, which are ruled by Sharia, then the answer is a resounding “no.” Each of these three countries possesses a failing economy. And Sharia also hasn’t brought forth a more virtuous, morally harmonious society in these three cases either. Just the opposite. In Pakistan, for example, the poor have stayed poor, while the elite have just gotten richer as the country dissolves into a morass of sectarian murder and terrorism. In Iran and Sudan, the people have demonstrated, or are currently demonstrating, to get rid of the Islamist rulers who gave them Sharia law in the first place. The Muslim Brotherhood’s declarations concerning a Sharia-based economy resemble those of Marxist economic planners after the 1917 Bolshevik Revolution. At that time in Russia, there was a genuine desire to help the poor and build a new, strong, non-capitalist economic order based on Marxist principles that would benefit everyone while uniting and morally uplifting the whole country. A “new socialist man” would emerge who would deny individualism and work for the collective good. In the end, as the world witnessed, it was a disaster. Human nature could not be changed. The Muslim Brotherhood will probably also discover the same in any experiment they conduct in Islamic economics in Egypt despite their plan’s religious backing. Human nature cannot be changed and, like Marxist economics, Sharia-based economics will not solve the financial disaster Egypt is currently facing but rather worsen it.